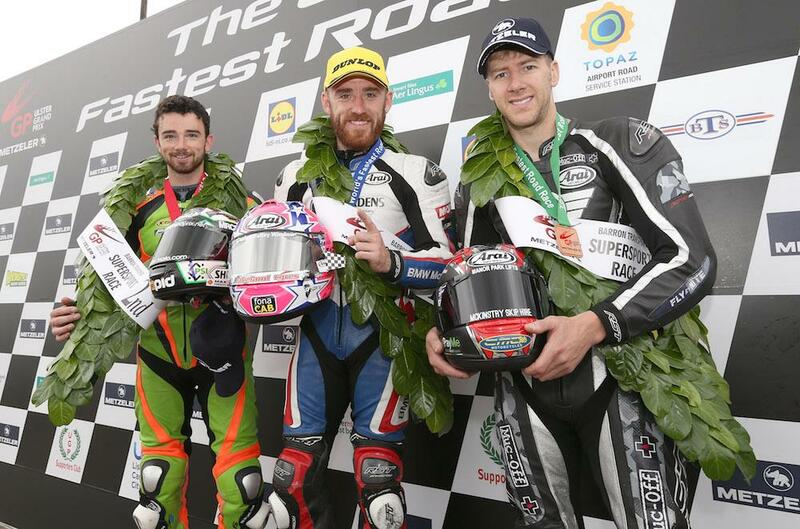 Lee Johnston will be setting his sights on a return to the top step as this year’s Ulster Grand Prix gets underway next week. The diminutive Ulsterman took a hat-trick of victories at last year’s event with wins in the opening Superstock encounter and both Supersport races, and having had a taste of the champagne he’s looking to at least repeat that feat this year. It’s been a tough season for Johnston after a crash at Scarborough’s Oliver’s Mount left him battered and bruised for the North West 200 and Isle of Man TT, and while he’s confident of bouncing back to form at the Dundrod circuit he’s aware it’s going to be another close year. “I won the Superstock race last year by less than a tenth of a second, followed by another hard fought win in the opening Supersport race ahead of William Dunlop,” he said. “Those tight battles and mass start part of the appeal, that close racing is so good for the fans too, it seems to mean they automatically like you as a racer. “I don’t choose for the races to be tight though, I’d rather win by 10 seconds and have no stress on the last lap but I think it’s just that type of track with all the big slipstreaming going on and the good battles down the last two or three corners. “I’m under no illusions about what it’ll take to get onto the podium this year. Look at Michael, Hutchy and Dean at the TT, they were on awesome form. You’d nearly bet your house if the weather is good at Dundrod that the lap record will go again and it really could be anyone that does it. I’ll be in the mix and trying my best.